85 ezgo w/ robins 244 ec25-2pg? New to carts and not mechanical. I just bought an 85 ezgo w/ robins 244 ec25-2pg mfg# 112385. I'm looking for pdf's of the manaul,wiring diagram or any of its specs. Thanx in advznce to the cart gurus here. Re: 85 ezgo w/ robins 244 ec25-2pg? 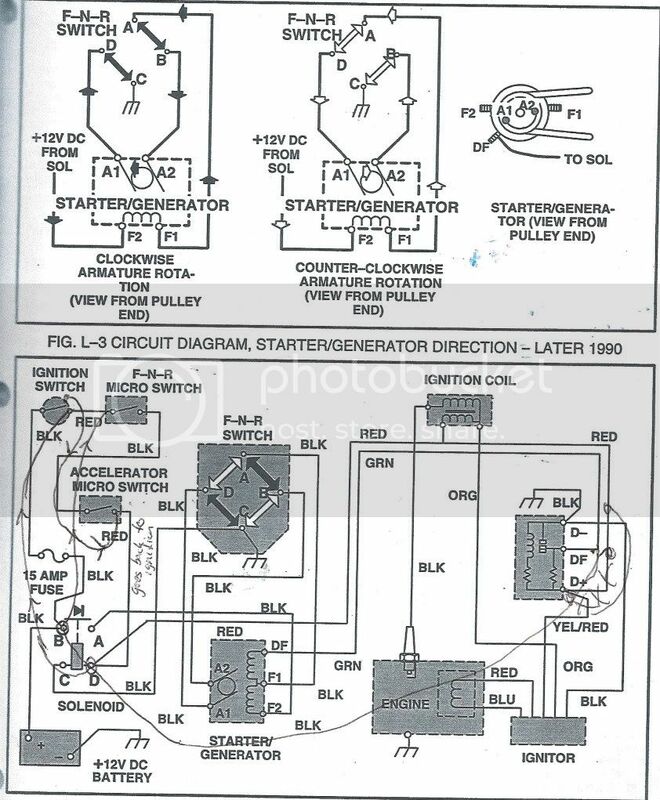 I have the 89-93 manual and posted the wiring last week, I don't know if it is the same but it might give you a basic for what you are looking for. Just excuse all the writing I added, hope it helps. Thanks Nomo and Skimaniac. I sure appreciate any help I can get. Once I get PM privileges I'll send you that address thanks again. Looks like you've got some work to do. At least the engine compartment looks somewhat un-molested. I would recommend doing what I did. Take all the body panels off and paint them. It's really not that difficult.